Garlic is believed to be one of the elixirs of youth, the Pharaohs of Egypt ate garlic to prevent growing old. Garlic is known to aid digestion and help the circulatory system. 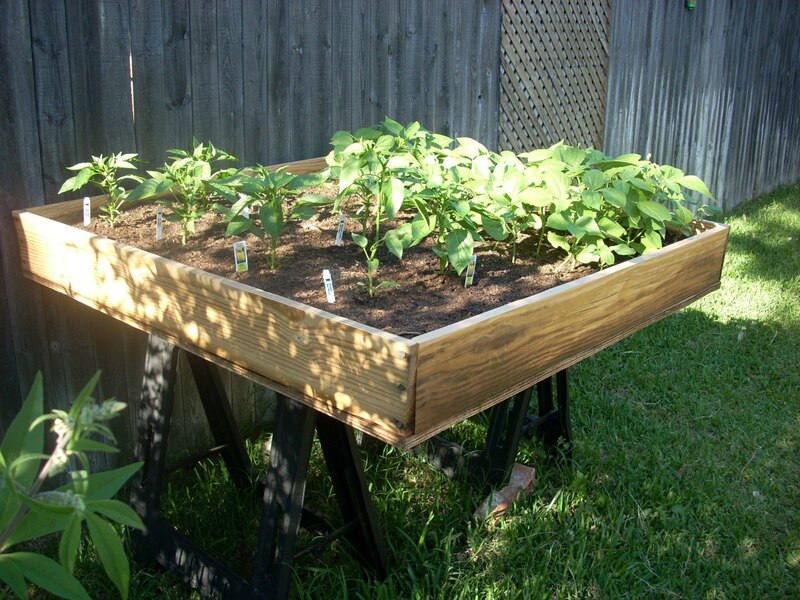 It also adds a distinct flavor to a variety of foods and repels insects in the garden. Growing garlic is easy. The greatest challenge to growing garlic is fungus. But even that can be taken care of easily with just a few simple tricks. The best time to plant garlic would be in the fall, this gives them time to winterize building their strong root system. Usually between mid-October and late November. Garlic is best grown and harvested as an annual. That being said, they can be planted in warmer Southern areas, in late February or March. The result may be smaller bulbs. In addition the seed garlic must be chilled before planting in order to cause it to break out of its dormancy. This can be achieved by placing your cloves in the refrigerator 3 weeks before planting. Garlic is of the Allium family which would be leeks, shallots and onions. Each clove would act as a seed. 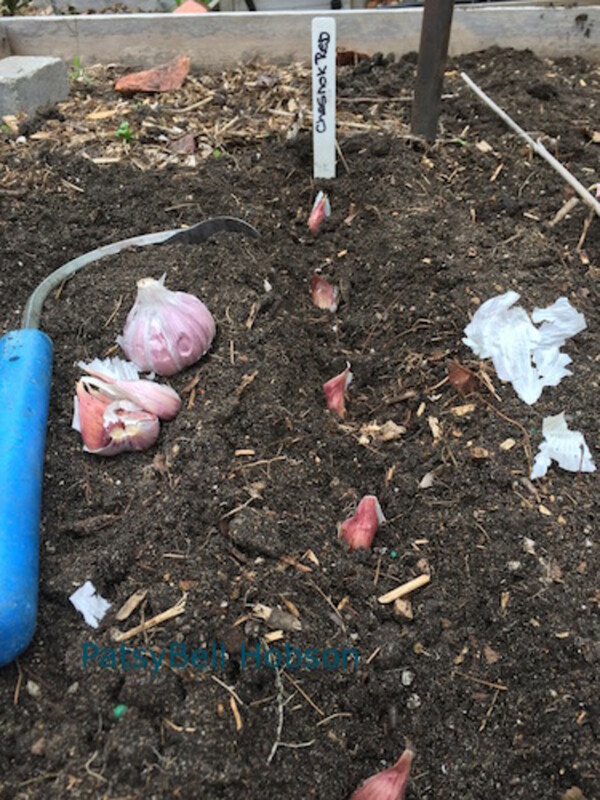 The bulbs are grown underground and the leaves grow up above ground, growing somewhat tall, It is actually the leaves that will give you a clue as to when the garlic is ready for harvesting. There are two kinds of garlic that you can plant and grow; the hard~neck and the soft~neck. The Hard~neck Garlic: has stiff stems with an attractive flower. Hard~necks are best grown in a colder climate. 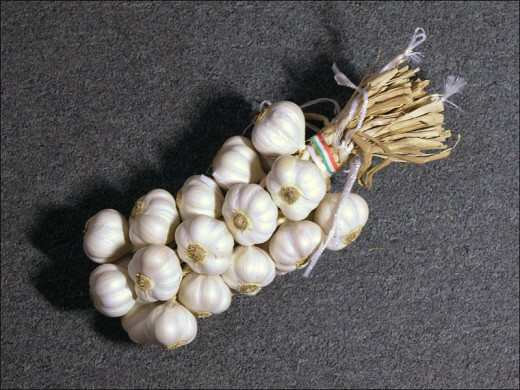 The Soft~neck Garlic: has a soft stem that is easy to braid for storage. It keeps longer and is suitable for a warm-winter climate. You can purchase garlic for planting at your favorite garden center, online or you can purchase a plant the garlic that you have purchased from the grocery store. Garlic is tolerant of all kinds of soil. However, Do make sure that your soil drains fast. Bulb plants do tend to rot away in wet soggy soil. 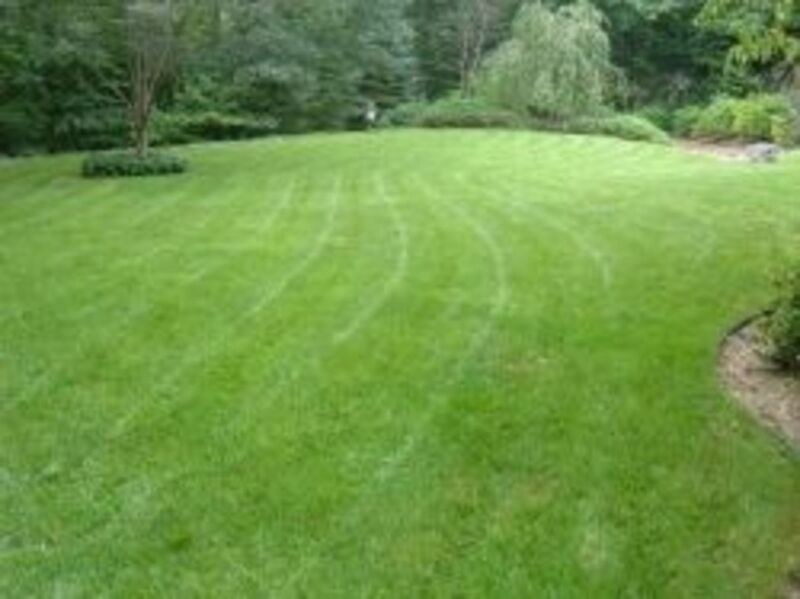 And it is beneficial to add organic matter. It would be a good idea to use organic matter and manure for your garlic plants. If you use natural sources that are rich in nutrients and replenish the soil, your soil will be healthier than if you use chemical fertilizers. Spread manure over your garden in the fall, giving it plenty of time to enrich the soil before you plant the garlic in the spring. Organic Matter = To a gardener, organic matter is something with organic compounds that you add to the soil as an amendment. In simple terms, it is decaying plant or animal material, most commonly: compost, manure. Remember as mentioned above fungus and bacteria can be dealt with before planting. 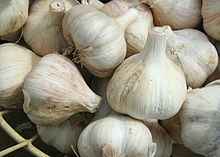 Just one garlic bulb, that has been broken into individual cloves, is enough to set out for an extensive home planting. On planting day, fill a quart size jar with water, adding 1 tablespoon of each baking soda and liquid seaweed. Soak the cloves for about 2 hours. Remove the papery husks/shells. Doing so will help prevent fungus and promote root growth. Garlic loves compost..Dig it in deep and well before planting. Plant your bulbs 6 to 7 inches apart in full sun.. garlic will tolerate partial shade , but full sun is the best.. Bury the tips of the cloves 2 inches deep with the root end down and the pointy tip upwards. Each clove will produce one plant with a single bulb, but each bulb may contain as many as 20 cloves. The bigger the clove you plant the bigger the bulb you will get..You will probably have different size bulbs. 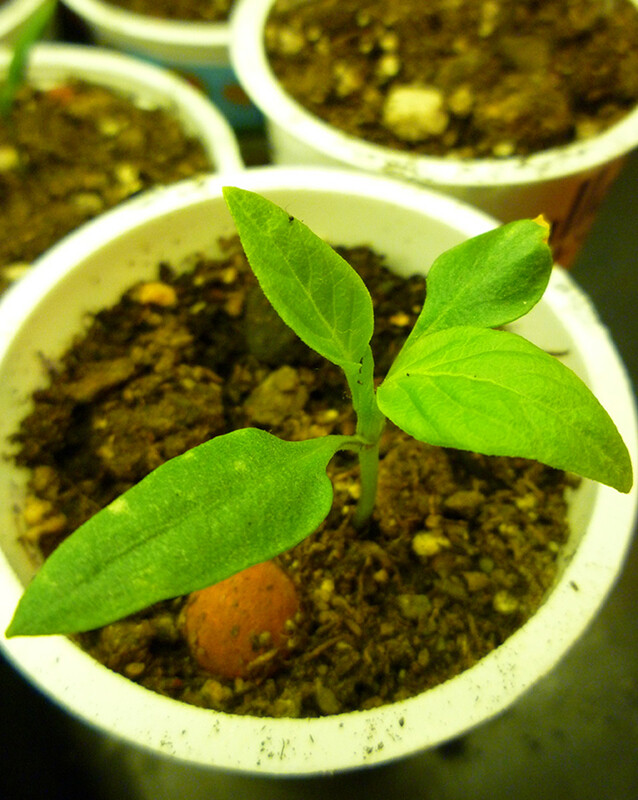 You will see growth starting in about 4 to 6 weeks after planting. However, garlic will stop growing in winter. It is at this time that the it is developing its strong root system. Top growth will begin again in spring. In fall, lift the garlic bulbs carefully with a garden fork. Wait until stalks are dry before storing in a net bag. Or braid tops to form a rope. Hang in a cool, dark, well-ventilated area. If you want the taste of garlic before harvesting the garlic bulb, clip a few leaves. Garlic likes evenly moist soil. Drainage, Drainage, Drainage is the key to growing garlic. You do want to offer water, but they should not be constantly wet. Slightly dry between watering is a good thing. Garlic plants can be fed with an organic plant food when growth has begun. The use of corn gluten to mulch and fertilize plants, will help prevent weeds from growing and using up nutrients needed for your garlic plants, and is a potent fertilizer for your plants. Apply this in early spring, before planting the garlic. Growth usually starts in spring around March. And will begin to bulb in June and July. When should I harvest my garlic? You will want to harvest plants when the flowers have faded and the leaves begin to dry. When the tops are drying the bulbs are losing the papery protection, don't wait for the entire top to turn brown or your garlic can rot. The bulbs with all brown leaves have more cloves that separate from the bulb and tended to sprout faster. If some of the leaves are still green, the bulbs' papery covers are more intact, keeping the cloves from splitting and sprouting so soon. When harvesting you will want to dig the bulbs up, not pull them out. After you have them dug up, they will need to dry . 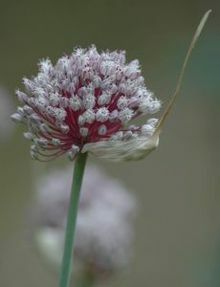 You can hang them to dry or try your hand at braiding..
Chives (Allium schoenoprasums) is a small, clump forming perennial a relative of the onion. Its leaves are grass~like in appearance, long, slender and hollow. Unlike other herbs, chives are best used fresh. I love garlic but have never tried to grow it. Some great tips on how to get it right - great, clear hub. Thanks - up and useful. @creatvelycc It may be worth trying, if you have a few cloves. However , it will take 4 to 6 weeks before you see growth..and will stop growing when it gets cold.. Excellent hub! Would it still grow if I planted it now instead of waiting for fall? twig22bend..won't it be great to have fresh from the garden garlic..and it takes so very little space. I love garlic and I will try to grow some in my little garden. Thanks for sharing. Garlic is one of my favourites. I have never had much success planting it in the springtime, but whenever I plant it in autumn/fall before the weather gets really cold, the plants just seem to look after themselves. Last year I planted an additional new area tucked away in a corner of my garden and promptly forgot about it. Lucky for me, even without watering, it somehow managed to survive and thrive. By the end of the season I had way more garlic than I'd anticipated. lol. Oh I do hope you can grow some..its is so disappointing when the markets have lousy produce.. Awesome info. We love garlic but the supermarket garlic has been not fresh lately and we've had to do without. Hopefully we can grow it someday. Thank you for the information. We have grown this before because we love garlic and it is so good for you. Thanks for the tips! 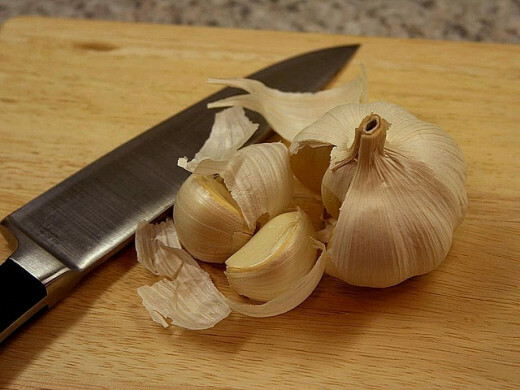 Life without garlic is a life without sunshine. Great hub. and you covered it all. Good tips. We grow it every year and I can't think of a thing to add to this informative hub.